Be Bold for Change this International Women’s Day. Today, on International Women’s Day, we celebrate the courage of the women and girls recovering from obstetric fistula at The Mabinti Centre. In spite of a devastating childbirth injury, these women are boldly rebuilding their lives one stitch at a time. 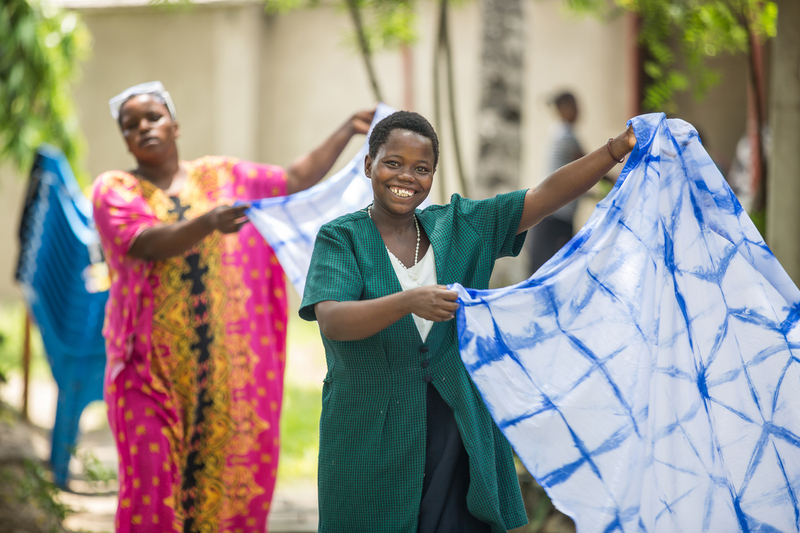 Estimates suggest that up to 3,000 women like Asha develop obstetric fistula every year in Tanzania. Obstetric fistula is caused by prolonged, obstructed labor without access to timely, high quality medical care. The injury causes chronic incontinence. Leaking urine, feces, or both, women who develop fistula live at risk for infection and further health complications. In 90% of cases the baby does not survive the traumatic delivery. The mother is then left to process the physical trauma of fistula, and her grief over the loss of a child. She is often left to endure this pain alone. Obstetric fistula carries severe stigma within communities, and is considered a punishment for witchcraft or adultery. Women living with fistula are often abandoned by their families, excluded from their communities and are unable to work, making them some of the poorest and most marginalized people in the world. Kupona’s sister organization is one of the largest providers of comprehensive fistula treatment in the world. In 2016, CCBRT supported the treatment of over 1,000 women with fistula, restoring their dignity and helping them to rebuild their lives. Committed to a comprehensive, holistic approach, CCBRT provides surgery, accommodation, food, physical rehabilitation and counseling to all patients free of charge during an average three week stay at the hospital. Recognizing that surgery is just the first step on the complex road to recovery, CCBRT’s holistic approach addresses the psychosocial as well as physical impact of fistula. CCBRT also offers numeracy and literacy lessons to women who do not know how to read and write. The Mabinti Centre was established by CCBRT as part of their fistula treatment program. Mabinti serves as a socio-economic empowerment program for women recovering from obstetric fistula repair surgery. 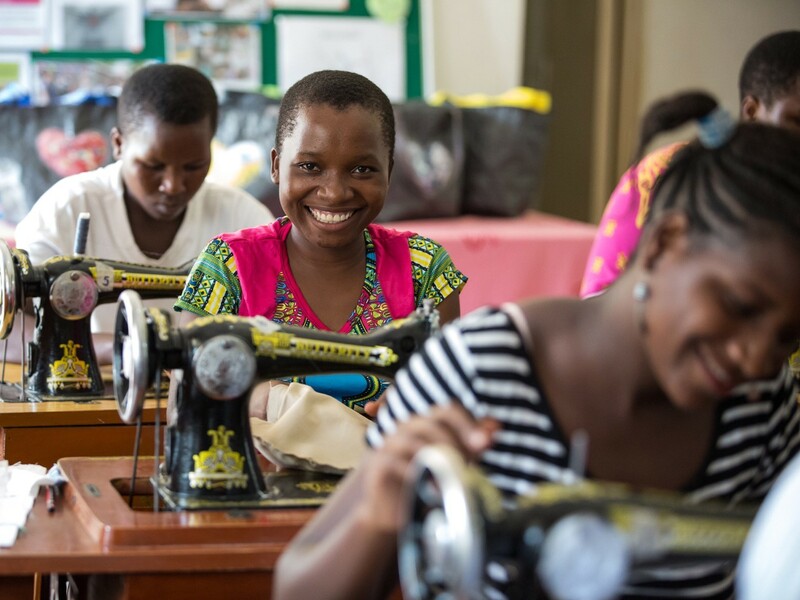 Since 2006, 100 women have completed a training course in sewing, screen-printing, beading, design, English and business skills. Graduates from the course leave with the skills and confidence to start their own businesses, or secure employment. Committed to the long term well-being of every trainee, Mabinti follows up with graduates after they complete their training, conducting home visits and refresher classes to help guide these new entrepreneurs. Some graduates are also employed by Mabinti to produce items for wholesale or for sale at artisan fairs. Women at the Mabinti Centre are empowered to begin a new chapter in their story of recovery, equipping themselves with the skills to build bright futures. The backlog of women awaiting treatment is in the thousands, so while we work to stop new cases of fistula from developing, we will continue to provide fistula surgery and holistic care to help women recover and thrive after treatment. Inspired by this story? Make a donation to our GlobalGiving project before March 15th and help us win a place on the GlobalGiving Girl Fund, which will grant us exclusive access to more funding for women and girls recovering from fistula in Tanzania, and training at the Mabinti Centre.